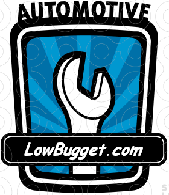 If you live close to our shop and looking for a shop that specializes in vw's. 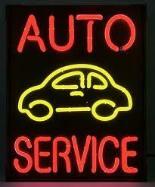 systems, clutch kits and most all major engine and transmission repairs. Give us a call for your 1974 and earlier air cooled vw. dual carb or turbo beast! combo makes power this is a good idea. $100 Parts and labor, same day! cars. Improves handling and stops tires from "tracking" on the road. $45. Parts and Labor, same day! set of longer beam bolts. A must on fast street and race cars. Readjust steering box. $95 Parts and Labor, same day! Oil cooler and fan install. $600 all Stainless Steel lines and AN fittings, Red/Blue or Black. $700 all Stainless Steel lines and AN fittings, Red/Blue or Black. $400 with AN -8 Stainless Steel hose with Red and Blue, or black AN Fittings. valve cover gaskets and re-adjust valves to now 0.0" lash. Truss Bar installed parts and labor. Replace trans, clutch etc please call!